In 1990 Powrwheel Limited was a high tech aerospace engineering company manufacturing 'build to print' parts but also had a product range in Aircraft Handling Equipment. 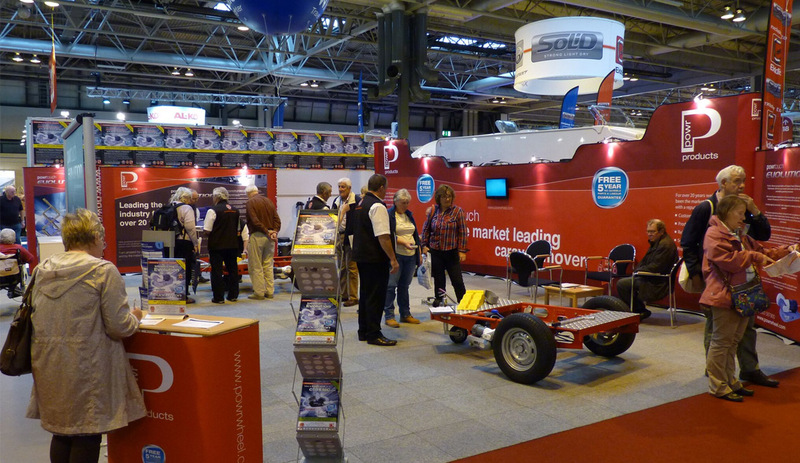 With an idea to increase the product range, commercial scope and customer base of the company, the first caravan mover 'The Powrwheel' was launched during the Caravan Show at the NEC Birmingham in February 1991. 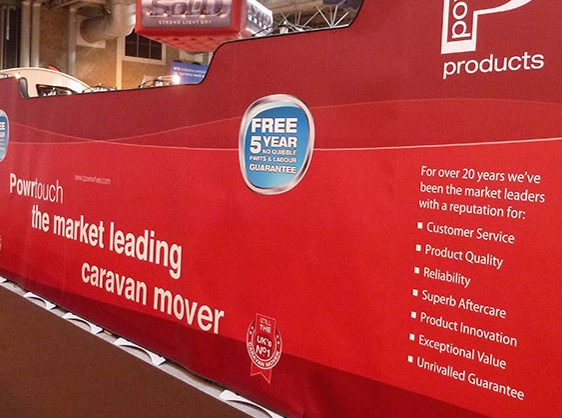 Due to the success of The Powrwheel, it encouraged the company to look further into trailer and caravan mover systems thus placing it as the UK's unrivalled number one supplier of caravan movers. 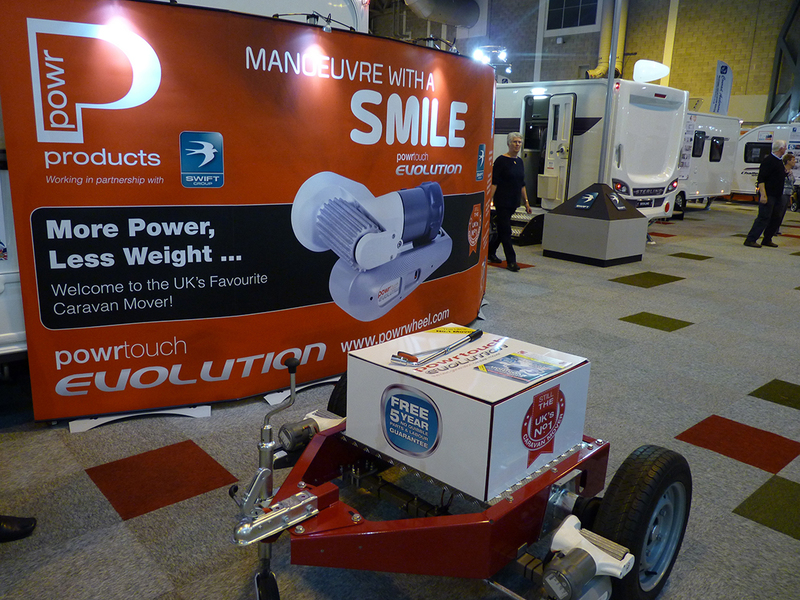 Powrwheel needed to update their Exhibition stand and were recommended to Nexus as being a specialist supplier for these products. We showed them examples of some previous projects and then sat down and listened to their issues and learnt how they felt they were not promoting their business and products to best effect. 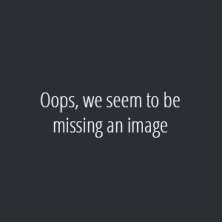 Nexus then looked at their existing marketing materials and then undertook a detailed look into the market place and their competitors. 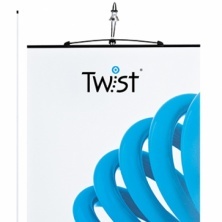 After much discussion, the design team produced a design which met the brief to enable Powrwheel to stand out from the crowd and at the same time be flexible enough to be used at different indoor venues around the UK. 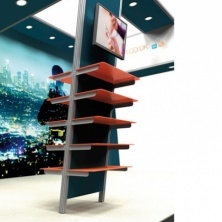 Our recommendations were accepted and this project has been the largest exhibition stand we have ever constructed made up of various sized panels and different shaped elements from the Twist range of exhibition systems. 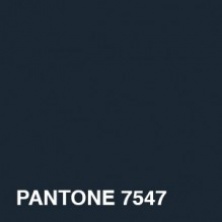 This large scale project had a tight deadline and we pulled out all the stops to ensure everything was delivered on time and was finished to the highest standard. 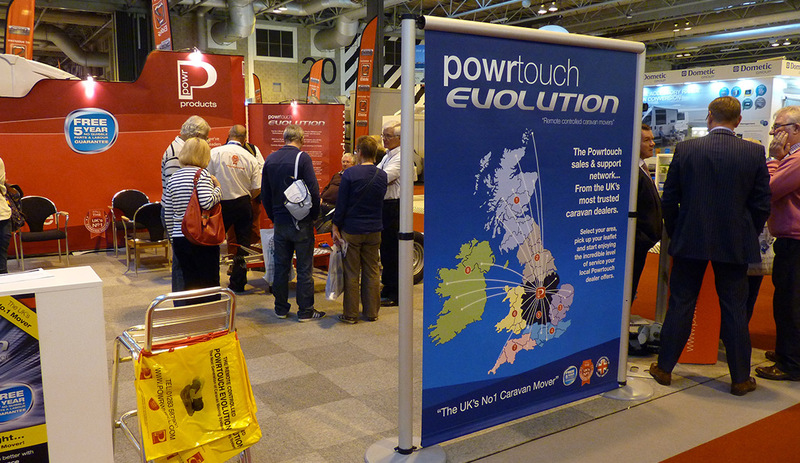 The design was simple yet creative and featured bold colours and large images designed to effectively promote Powrwheel’s products to their main audience who would be attending these exhibitions. The final stand consisted of over 30 panels and when slotted together covered an area of 24 square meters. 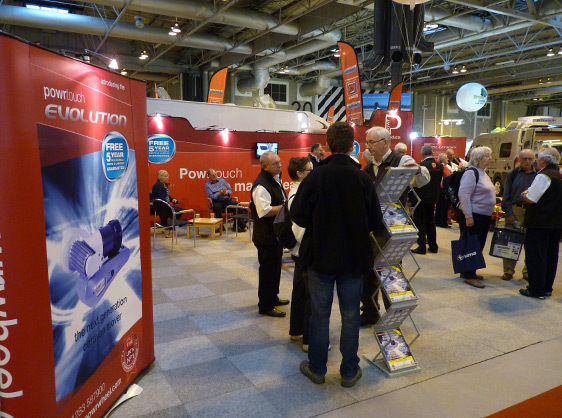 Our stand really turns heads and frequently receives fantastic comments. Before approaching Nexus it was generally considered that we had the poorest company display. Since unveiling our new design we have gone from last place to first at indoor shows and are now considered to have one of the best around! I think it is an exceptional stand. A big thank you to the Nexus team for all their hard work and dedication. 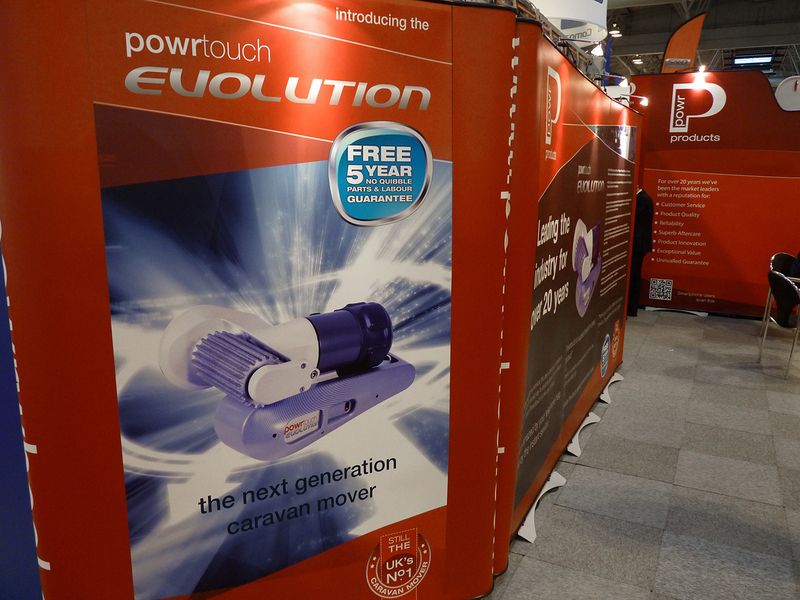 Powrwheel were so impressed with the finished design that we have since updated and extended it for other events and also provided over 200 additional outdoor wall banners and roller banners for display in caravan dealer showrooms throughout the UK.